I've been a fan of jewelry all my life, but never rings for two reasons. 1, they never fit my baby fingers, and 2, I would lose them because they'd magically fall off. 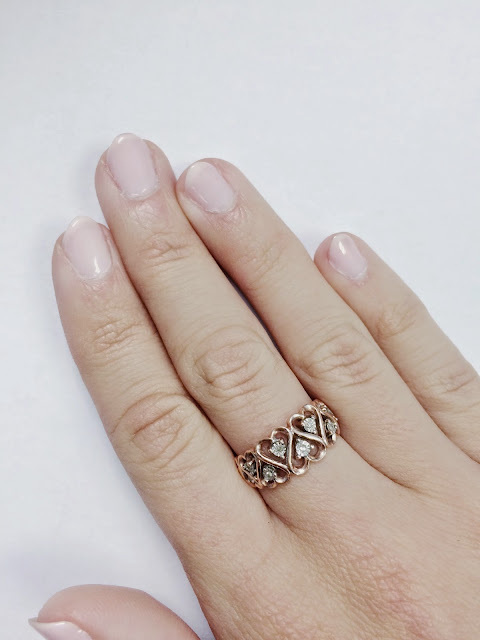 For my 21st birthday I was given the most gorgeous rose gold heart band ring. My boyfriend and I went back to Kay Jewelers where they sized my right hand's ring finger. I can't remember what size it ended up being, but it was something so ridiculously small that I was told I'd need to wear my ring on a larger finger, otherwise there would be nothing left of the ring. I chose my middle finger which ended up being a size 4, and they sent the ring away to be sized. Two years later and I'm ready to expand my ring collection... Side note: who knew that Pandora has great rings?! So I'm window shopping online last night for stackable rings and realized I have no clue what size I am. The size 4 ring is a little roomy after some time, and Pandora sells their rings by the size so they won't send away to get fitted. 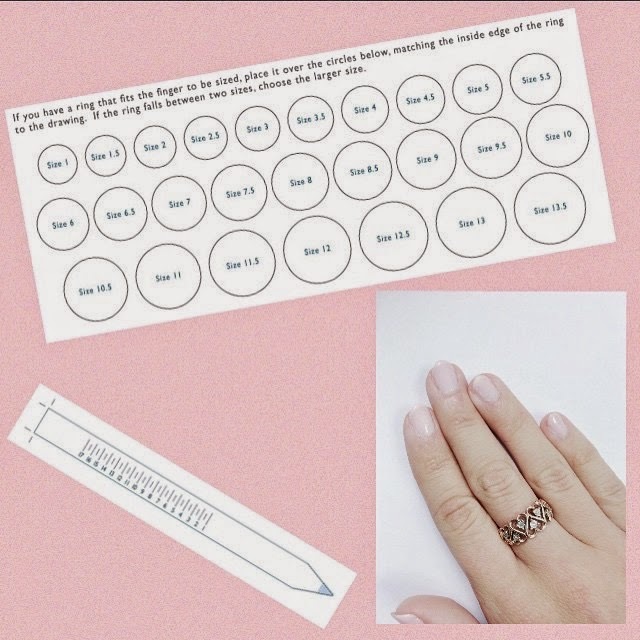 I came across a printable ring sizer online at http://www.lumeradiamonds.com/files/ring_sizer.pdf and was pretty impressed! Call me crazy but I did not know this existed, so if you're as crazy as me, then you're welcome. This printable PDF shows you 3 options to size yourself at home. Don't forget to confirm the correct size of your print out by measuring 3 inches to the given bar (they give you step by step directions!) and making sure the "fit to page" option or "fit to scale" is UNCHECKED!!!! when ready to print.